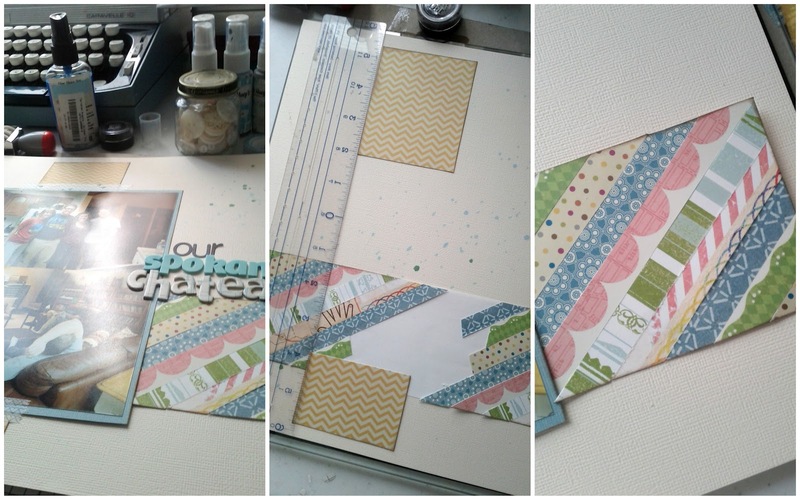 How to turn branding strips into something awesome!! 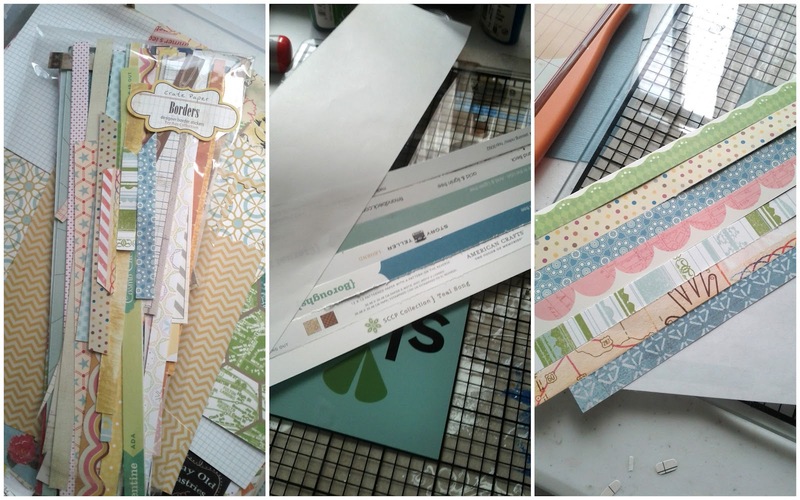 I emptied out some packaging that used to old border strips and fill them with all my branding strips. I keep them with my embellishments so that I will use them up! A couple weeks ago I decided to whip them out and make something awesome. I took some fancy cell phone photos so you can see the lovely process and then the finished page. Here I show my "little" collection of branding strips. I chose a few that I love and thought went well together. I also showed a photo of the backside...you can see these are all just off cuts from a piece of 12x12 pattern paper. I think the companies with the cutest branding strips are Studio Calico and American Crafts. It was easy! I just taped them all diagonally onto computer paper and then trimmed the excess. This little collage shows a little more into my process of making the page. As you can see, I didn't tape the pattern paper strips onto the ENTIRE sheet of computer paper...just planned to cover it up with the photos. And now the finished page! I also added some Mister Huey on a diagonal line, and sewed on some buttons. Button sewing is not my favorite technique because it is SO time consuming, but at the end I always love the result! I just need to get some more patience!! Thanks for looking at my little tutorial. I hope to share more scrappy stuff here on the blog in the future, HOWEVER, I am leaving for Europe in just TWO DAYS....so who knows when I will find time to blog!! Very cool idea! Can't wait for next week!!! !